If you are having issues with your RV’s electrical panel, or if you notice that various appliances and electronics are not getting electricity in areas of your RV, then call Fix My RV at 623-875-5015. 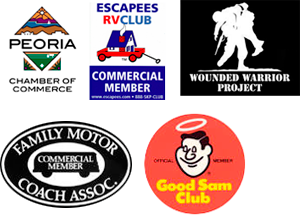 We are a mobile RV repair service operating throughout the Phoenix and Peoria. Owned and operated by a Certified Master RV Technician and graduate of the only RV technician and repair school in the country, the RV Training Center in Clearwater, Florida. Your RV’s electrical panel controls the appliances and luxury conveniences that it is equipped with. 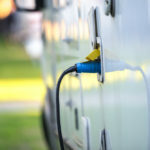 Components such as the hot water heater, refrigerator, kitchen appliances, electrical outlets and more are powered by your RV’s electrical system. RV’s are equipped with two electrical systems, a 12-volt electrical system, and a 120-volt electrical system. Your 12-volt system is battery powered and it controls the power to the most important electrical conveniences in your living space. Things such as the water pump, carbon monoxide detector, water heater, furnace, refrigerator, and most of your lights. The 120-volt system powers everyday things such as your coffee maker in the kitchen, televisions and other electrical appliances that use outlets. Because the 12-volt system only provides you with 12 volts of electricity, some RVers use more than one 12-volt battery and attach them together in a parallel circuit to gain more volts. Others that wish to have more may get two 6-volt batteries in a series circuit to get better power than a single 12 volt. The downside to this is that extra batteries take up more space. If you are like most you are not an electrical engineer or an experienced RV repair technician. Trust Fix My RV mobile RV repair service, based in Peoria, Arizona for all of your RV service needs when you are in the area.